Canada is boycotting a UN body dedicated to disarmament to protest against North Korea being named its chair, Foreign Affairs Minister John Baird announced Monday. The Conference on Disarmament, where UN members negotiate disarmament and other arms control agreements, is heavily focused on the prevention of a nuclear arms race and nuclear disarmament. "North Korea is simply not a credible chair at this United Nations body. 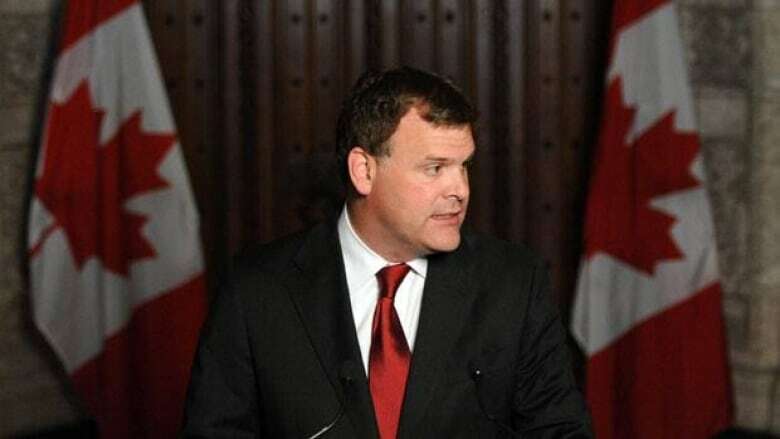 The regime is a major proliferator of nuclear weapons and its non-compliance with its disarmament obligations goes against the fundamental principle of this committee," Baird said during a call with media to make the announcement. "North Korea's chairmanship undermines the integrity of both the disarmament framework and of the United Nations, and Canada simply will not support that." North Korea assumed the presidency June 28 and holds it until Aug. 19. Canada will boycott the committee's activities until then, Baird said. He acknowledged it is only a short period of time that Canada is refusing to participate at the Geneva-based body, but said it's important that Canada take a strong stand because it is "absurd" that North Korea is leading the group. "It puts one of the world's worst offenders in the chair. It hurts the crediblity of the United Nations and it's a blow to any meaningful effort at disarmament," said Baird. "I think there's a lot of symbolism here but I think it is important that Canada put forward its voice strongly on this issue." Countries rotate presidency of the conference, and when North Korea was named chair last month, Baird issued a statement saying he was disappointed and he warned that Canada would review its participation in the committee. He said on Monday that Canada would seek to reform the way chairs are selected for the conference so that countries such as North Korea and Iran would not have opportunities to chair it in the future. Is Canada right to be boycotting the conference? North Korea has defied multiple UN resolutions on arms control and continued its nuclear weapons program. In 2009, it conducted a nuclear test and in 2010 an international investigation determined that North Korea had sunk a South Korean naval ship with a torpedo. The events prompted Canada to further limit trade, investment and other relations with North Korea. North Korea assumed presidency of the UN body at a meeting on June 28, and the new president of the group, So Se Pyong, told members that he was committed to its work. He said he would work closely with members to strengthen the conference's ability to deliver results. Canada's representative at the committee, Marius Grinius, was already ending his time there before Monday's decision was announced. In his farewell remarks at the June 28 meeting, he indicated that Canada is skeptical about the effectiveness of the disarmament body. According to a summary of the meeting on the UN's website, Grinius spoke about how the committee is on "life-support" because it's not the only arena for the negotiation of multilateral disarmament agreements, and that it hadn't been working on new agreements for some time. It has achieved glories in the past, he said, but it's not clear that it will overcome what he described as paralysis at the committee. Baird said Monday that the group has done good work in the past and been successful in negotiating major treaties but recently it has struggled to reach consensus among its members. The government's decision to boycott it while North Korea is presiding is an effort to reform it so that it is more effective, the foreign affairs minister said. "What I know won't be good for this conference is if countries like Canada just simply remain quiet and go along to get along," said Baird. Soon after Baird made the announcement, the Liberals issued a statement saying the Conservative government is missing an opportunity to exercise influence over the conference's talks. "Though it is deplorable that North Korea currently holds the rotating presidency, this should not hinder Canada’s ability to have a positive influence on these negotiations. By withdrawing from the conference, Canada is abdicating its responsibility to act and to be heard on important issues such as nuclear non-proliferation, and is giving more radical countries like North Korea and Iran an even greater influence on the outcome of the negotiations," the statement said.